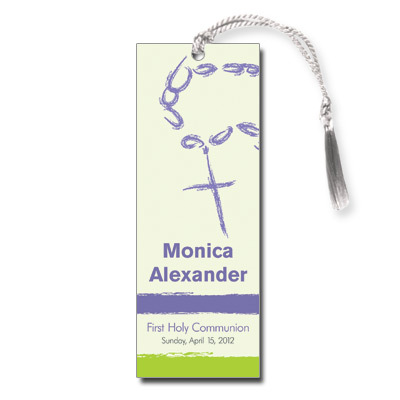 An illustration of rosary beads is complimented by broad brush strokes of color in this First Holy Communion bookmark for a modern twist on a classical image in shades of green, purple, and white. Personalize with your child's name and event information. Bookmark measures 2x5.5 and comes with white tassels; light assembly required.